Pre Primary Wing – We in Rayat Bahara international School recognize and aim to mentally stimulate & develop the cognitive skills of the tiny – tots here. 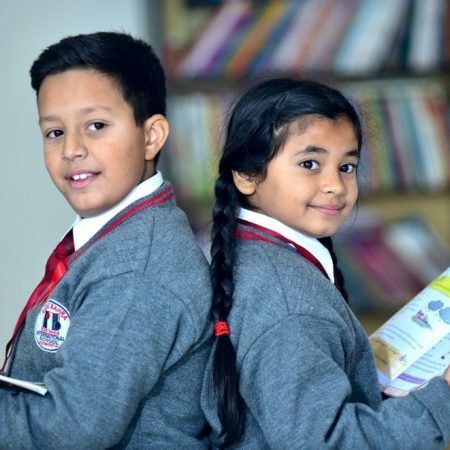 Rayat Bahra Pre primary wing is located in a separate block equipped with modern amenities, large airy, spick & span rooms with colourful furniture. 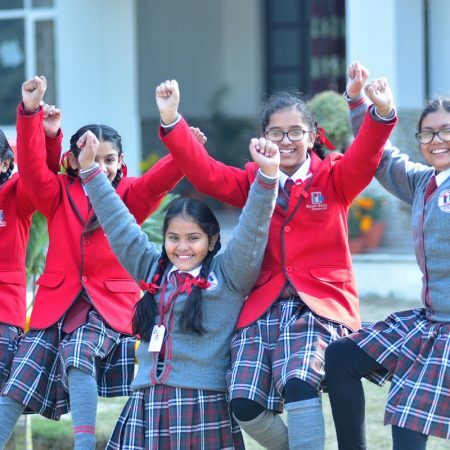 This provides absolute physical &emotional security to students as the teacher sit on low chairs with them & share the joy of learning Educomp smart classes have been introduced to provide hands on exploratory learning with fun filled experience in each section of the class. To nuture the various talents we have well equipped art- craft room, music room. The focus here is making each child understand the basic concepts through play based activities. Children love to play with puzzles, soft toys, blocks here. It also has a library where children learn to handle the books & enjoy reading them with their teachers. Open play areas with greenery all around provides a natural environment which facilitates the learning process. Summer camps are organized where the children shed their shyness & learn to co- operate with friends. Their communication & dance skills are nourished during these camps .All major festivals are celebrated in Rayat Bhara Inno kids school in order to keep the little ones attached to their roots.